Thanks to 13 years and counting in the military, I have developed a tactical mindset when it comes to hunting. Perhaps you, too, have discovered many shared aspects of situational awareness between combat and hunting. I experienced many of these during a recent weekend duck hunting with Remington Arms Company at Stan Jones Mallard Lodge in Alicia, Arkansas. My first morning hunt started as any other mission would. A 4:00 AM alarm rang near my head and I rolled over to ensure my roommate was also waking up. Next, I splashed water on my face and made a mad dash to get a cup of black coffee in my hands. By that point I had my wits about me and began working out the next order of movements. In combat and hunting, that means it was time to roll through my pre-execution check-list. Rather than inspecting my plate carrier, I went over my Frogg Toggs Grand Refuge waders 2.0. Their light weight breathable material takes nothing from their function and toughness, even in the harshest conditions. You might be hunting mallards in subzero waters on any given morning and that afternoon basking in the warmth of the sun on a dry corn field goose hunt. The removable insulated liner allows one pair of waders to work in any temperature. Instead of an assault pack, I had my blind bag. In it, my combat load of ammo – Remington Hypersonic Steel 12 gauge 3” 1 ¼ ounce shot shells – and two GoPro cameras, because every Grunt knows if you don’t have proof of a cool thing you did, it didn’t happen. I’d also packed an assortment of Cary Sadler Waterfowl calls and a face mask with gloves for concealment. Kitted up, I headed to the arms room to get my weapon. Instead of my usual standard issue weapon I stand and stare at a selection of Remington shotguns, the Versa Max Waterfowl Pro and V3, both in 12 gauge. I already own a V3 Field Sport; I have always hunted with Remington Products. Prior to purchasing my V3 in September of 2015 I used my Remington 11-87 Sportsman, a tried and true water fowler’s shotgun, for more than a decade. Before I had the luxury of an autoloading shotgun my Remington 870 was the never failing tool I took into battle. Once I saw that Remington had come out with a new 3-inch autoloader, there was no question about what my next purchase would be. I chose the V3 over the Versa Max for two main reasons. Reason one, until recently I hadn’t had much need for a shotgun chambered any bigger then 3’. Reason two, the V3 comes in at about half the price as the Versa Max. For this hunt, though, I decided to give the Versa Max a turn on the duck-hunting range. Both shotguns feature Remington’s Versa Port gas system which is, in my opinion, a game-changer for the world of auto-loading shotguns. There are differences between the two guns: the Versa Max chambers up to 3 ½” shells while the V3 is chambered for up to 3” shells and each runs a different return spring system. Therefore, the guns have varying weights and feel different in your hands. The Versa Max felt very well balanced and shouldered with ease. The supercell recoil pad and check insert were exceptionally comfortable and provided a great reference for a consistent sight picture. I could tell this shotgun fit me to a “T” as soon as it was out of the case. Finally, it’s time to awaken my battle buddy, two-year-old chocolate Lab Ava (AKA HR KC’s Fancy Miss Ava JH). If Ava had an MOS it would be Game Retrieval Specialist with her four months of basic training taking place at Webb Footed Kennels in Jonesboro, Arkansas. Webb Footed Kennels is owned and operated by Chris Akin who has more than 25 years experience training well over one hundred Grand Champion and Master Hunters Dogs to his credit. For AIT – Advanced Individual Training – Ava did another three months at the same kennel the year following her gun dog basic training. That morning in Arkansas she exited her kennel ready to face the brisk air and icy water. Gear in hand, I headed outside to load up and push out in our convoy. We stopped at the staging area as we neared our hunting site. Our SUVs couldn’t make it all the way to the target location. The eight of us offloaded into a tactical vehicle of sorts that was a combination of a Toyota truck, M-ATV, and Polaris Ranger. After loading into the troop carrier, we waited as it traversed the open-water-covered mud flats between us and our destination. The troop carrier pushed through the water not unlike a battle ship rolling through rough seas. At long last we arrived at our hasty fighting position. I stood looking at the foxhole, a pit placed in a levy running through the water. It wasn’t your typical two-man hand-dug foxhole, mind you. This foxhole was metal-lined and big enough to hold eight ground soldiers and a Game Retrieval Specialist at either end. Prior to entering the foxhole, we set out decoys for the enemy, then covered the top of the hole with natural vegetation from the area as camouflage. Staging complete, we were into position with only minutes to spare before our target arrived. At the crest of sunrise, I heard our targets buzzing by us. The sound of their wings slicing through the air is not unlike that of a burst of bullets whizzing by. I grabbed my Remington Versa Max, loading it with three rounds of Remington Hypersonic Steel. The shells went in with ease. The expanded shell port and oversized bolt release worked great, even while I wore gloves to keep my hands dry and warm. The rubberized grip inserts allowed me to maintain a firm tactical grip without having to over squeeze the gun. My battle buddy was so locked in it was hard to tell if she was even breathing. Only her golden eyes, which scanned her lane of responsibility, gave off movement. Game time. This is the moment that all the time on the range is put to good use. Our team leader – AKA, the guide – tells us to get ready; the next words we hear are “take them”. I rise from my foxhole shouldering my Versa Max, take aim, and shoot at the targets traversing my firing line. I have fired all three rounds before I realized that either by adrenaline or great engineering on Remington’s part, I felt little to no recoil. I’ll say both. During my first series of shots fired, I dropped a multi-colored drake wood duck along with assisting my comrades with some follow up shots on other ducks. As I reload, my battle buddy, Ava, awaits my command to retrieve the first spoils of the morning. Across the vast water downed ducks float like bobbers on the bay. With vigor in my voice, I gave her the command – “Ava!” – At which time she leapt out of the fox hole, bounding across water and vegetation to pick up her first duck of the morning. She created such a splash as she entered the water you would think she enjoyed splashing her teammates. If there was a school on how to walk on water, Ava, using her speed and hunt drive to cover yards in a second, would be at the top of her class. She brought back the first duck immediately and placed it in my hand, simultaneously turning and locking in on the second duck still sitting out there. I gave her the command to go again and in a flash she has leapt into the water, chasing down our crippled game and returning it to me. Throughout the morning, volley after volley of ducks attacked our position and still we held our ground. I was quick to notice throughout the morning that the reduced recoil in my Versa Max aided in much more accurate follow up shots, or “controlled pairs”. Shots firing, shells falling, and feathers flying became the norm for those early sunrise hours. All of that was accompanied by our Game Retrieval Specialist earning her keep in the foxhole. Then like a downed fighter jet falling over the hillside, one duck fell behind us and Ava did not see it. Nevertheless, with all the training we had done in preparation for this mission it was not a problem for either of us. Using a combination of hand signals and verbal cues, we made short work of retrieving our last game. As the mission neared its end we took count of all our downed game. 22 ducks sitting in the foxhole with us made for a good morning. Our mission was a success. In conclusion, I can honestly say my time at Stan Jones Mallard Lodge was the type of mission set I would more than enjoy running daily. It has been said that Arkansas and duck hunting go together like peanut butter and jelly. If that’s the case, then Stan Jones Mallard Lodge is that favorite grandmother that makes you two of those sandwiches; both with the crust cut off, and brings you a big glass of chocolate milk to go with it while you watch your favorite show. The only thing better than the Lodge itself are the people who work there. As I think through my after actions review, I can’t help but take away a few things. One, I still love my Remington V3. As far as a 3” autoloader goes I do not believe there is currently a better one on the market, although the Versa Max did prove itself and held up to my higher than normal standards. As I progress into hunting greater size waterfowl the 3 ½” chamber is a must have. The Versa Port gas system in the Versa Max will definitely save my shoulder while shooting larger shells so that I might live to fight another day. It worked flawlessly and I was extremely impressed with its field use right out of the box. I definitely see purchasing one for my personal arms room in the near future. No grunt ever said he had too many guns! Two, an outstanding dog and new friends make a good hunt great! Three, any time you get to spend doing something you enjoy is time well spent. Even in combat. About the author: Kenneth Corder serves in the United States Army and runs Neverland Outdoors as his passion project on Facebook. 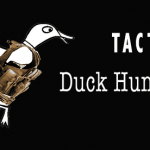 This entry was posted in Special Guests, Honorary SHWAT™ Team Contributors and tagged Duck, Duck Hunting, Remington, Tactical Hunting, Versa Max by guestwriter. Bookmark the permalink.